A credit score is a powerful number. The ability to obtain financing, rent an apartment or even get a job can all depend on that number. 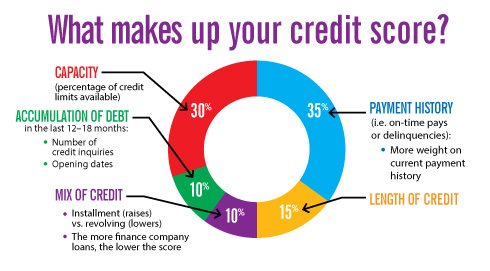 But here’s the catch 22: it’s really hard to get credit if you have no credit score. Joel Mungongo, of Waterloo, knows the predicament well. Mungongo, who has lived in the United States for the past three years, turned to his bank for a loan, hoping to buy a vehicle to get him between home, work and college. He was turned away, because he had no credit. The 26-year-old man later turned to Dupaco to open a savings account to sharpen his savings skills. What happened next, he said, was amazing. Amy Smith, a member service representative at Dupaco’s Mullan Avenue branch in Waterloo, looked at Mungongo’s total financial picture and explained how Dupaco’s Credit Coach Loan could not only help him drive up his credit score but eventually help him buy that vehicle. Dupaco created the Credit Coach Loan to help members establish or rebuild damaged credit. With the low-interest loan, the money that is borrowed (up to $1,500) is secured in the member’s savings account for the term of the loan (up to 12 months). The member earns interest dividends on the money held in savings while payments to the loan help build credit. The member also receives one-on-one financial education on the lending process. And Mungongo can now check purchasing a car off that list. He was approved for that auto loan. And as soon as he paid off his Credit Coach Loan, he turned around and opened another one, determined to continue building his credit. To learn more about the Credit Coach Loan, contact Dupaco’s Consumer Lending Team at (563) 557-7600 / 800-373-7600, ext. 202, or by email at loans@dupaco.com.